The Precourt Institute for Energy and the TomKat Center for Sustainable Energy at Stanford have awarded 15 faculty seed grants totaling $2.7 million for groundbreaking research on clean energy. Launched in 2010, the seed-grant programs fund innovative research proposals with the potential for high impact on energy supply and use. Nanoimaging-inspired battery management system for electric vehicles: The engineers will revamp the management system for lithium-ion batteries to substantially improve their longevity, while shortening the recharging time and increasing their energy density. Principal investigator (PI): William Chueh, Materials Science and Engineering. Prototyping next-generation scaffold perovskite solar cells: Researchers will demonstrate a new concept in solar-cell architecture to help solve the problem of instability when perovskites are exposed to heat and moisture. PI: Reinhold Dauskardt, Materials Science and Engineering; Co-PI: Peter Yang, Orthopedic Surgery. Templated metal electrodeposition for smart windows: The objective is to develop a commercially viable smart window that increases the energy efficiency of buildings by automatically adjusting to sunlight. PI: Michael McGehee, Materials Science and Engineering. Rational design of low-cost polymer-based efficient thermoelectrics: The goal is to facilitate the engineering of cost-effective, polymer-based thermoelectric technologies that convert waste heat into usable electricity. PI: Jian Qin, Chemical Engineering; Co-PI: Zhenan Bao, Chemical Engineering. A modular multi-level photovoltaic converter:This project aims to minimize cost and power losses in transformers for grid-scale solar installations by developing new technology for the efficient conversion of direct current to alternating current. PI: William Dally, Electrical Engineering/Computer Science. Development of an energy benchmarking analytics platform: Researchers will develop an open-source analytics platform for benchmarking buildings – the single largest user of energy in the United States – and assessing energy-efficiency. PI: Rishee Jain, Civil and Environmental Engineering; Co-PIs: Dian Grueneich, Precourt Energy Efficiency Center, and Mark Hartney, SLAC. Enhancing energy efficiency of CO2 splitting in highly complex plasma discharges: The team will use a novel computational algorithm to simulate the chemical processes involved in converting carbon dioxide (CO2) to useful fuels and chemicals. PI: Ali Mani, Mechanical Engineering; Co-PI: Mark Cappelli, Mechanical Engineering. Balancing renewables, natural gas, carbon capture and storage technologies to minimize cost of decarbonizing the grid – a California case study: This project will examine key policy and technology changes that will make the process of reaching California’s CO2-reduction goals more effective and efficient. PI: M. Elizabeth MaGill, Stanford Law School; Co-PIs: Dan Reicher, Law School, and Jeffrey Brown, Graduate School of Business/Law School. 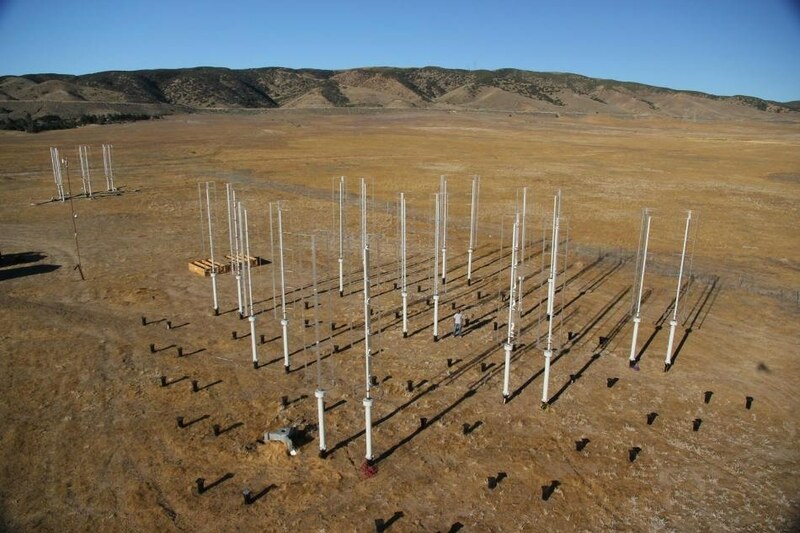 Renewable Energy Systems Integration: Working with a local landowner, researchers will install a small array of vertical-axis wind turbines as a living laboratory to test optimal models for renewable-energy systems. PI: John Dabiri, Civil and Environmental Engineering/Mechanical Engineering; Co-PIs: Dan Arvizu and Stuart Macmillan, Precourt Institute. A commercial wind farm testbed for performance prediction and optimization tools: Researchers will demonstrate recently developed computational tools designed to enable the optimization of wind farm performance with unprecedented efficiency at significantly reduced cost. PIs: John Dabiri, Civil and Environmental Engineering/Mechanical Engineering, and Sanjiva Lele, Aeronautics and Astronautics/Mechanical Engineering. Finding the optimal balance between building energy conservation and occupant health protection: The researchers aim to equip building occupants with wireless air sensors that provide real-time data for regulating ventilation and monitoring indoor pollutants. PIs: Lynn Hildemann and Ram Rajagopal, Civil and Environmental Engineering. Building the power electronics cell: Researchers will design a high power-density, bidirectional AC-DC converter cell that can be combined into a charger-inverter pack that generates enough energy to power an electric vehicle. PI: Juan Rivas-Davila, Electrical Engineering. Designing a better battery with machine learning: The research team will use machine-learning techniques to screen more than 10,000 promising electrolyte materials for safer, longer-lasting batteries. PI: Evan Reed, Materials Science and Engineering. Novel fabrication of light-emitting diodes (LEDs): This project seeks to reduce the cost of manufacturing high-efficiency LEDs for industry and consumers. PIs: Bruce Clemens, Materials Science and Engineering, and James Harris, Electrical Engineering. Aquaporin-copolymer membranes for high-throughput, selective water puriﬁcation: The goal of this collaboration is to develop a low-cost artificial membrane for purifying water. PI: Andrew Spakowitz, Chemical Engineering; Co-PIs: Michael Toney, SLAC, and Curtis Frank and Elizabeth Sattely, Chemical Engineering.